Weather Tight is your go-to home remodeling company. We proudly install windows, doors, roofing, siding, and just about anything else you could need for your Wauwatosa home. We are family-owned and -operated and have been serving the Greater Milwaukee area since 1986—that’s over 30 years of home improvement. Our current customers will tell you the choice is clear with us. Go ahead and read about us and then refer a friend once you realize how exceptional our service is. And be sure to check out Tod & Todd’s video tips—they’re a great resource for maintaining your home. We guarantee our product installations against defects and we offer free in-home, no obligation consultations and price quotes—no pressure, no problem. To get started, all you have to do is contact us online or give us a call at 414-459-3874. We look forward to hearing from you. We can’t wait to get started on your home remodel project! Installers did an excellent job, working quietly and efficiently, paying attention to detail,. They cleaned up the area nicely and instructed me on the operation of the products installed. ....I am totally satisfied! Great crew to work with. Brian, Erik, Toni and Chris were excellent. They did an amazing job and made sure we were completely satisfied. They were very friendly and treated me and my home with respect. Thank you so much for your hard work! If your Wauwatosa home’s roofing is outdated and beginning to leak, now is the perfect time to update it. We can assess your home and offer our free recommendations for having a new metal roof or asphalt shingle roof installed. Plus, we’ll even provide you with free estimates so you can decide what is best for your family and budget at that point in time. We might also recommend new gutter installation to ensure your home doesn’t experience water damage. Our team can knows all about gutter protection and its importance—and about soffit and fascia to make sure every piece of your home’s exterior is covered and protected. Watch some of our helpful, informational videos on how to care for your gutters now on our video tip page. 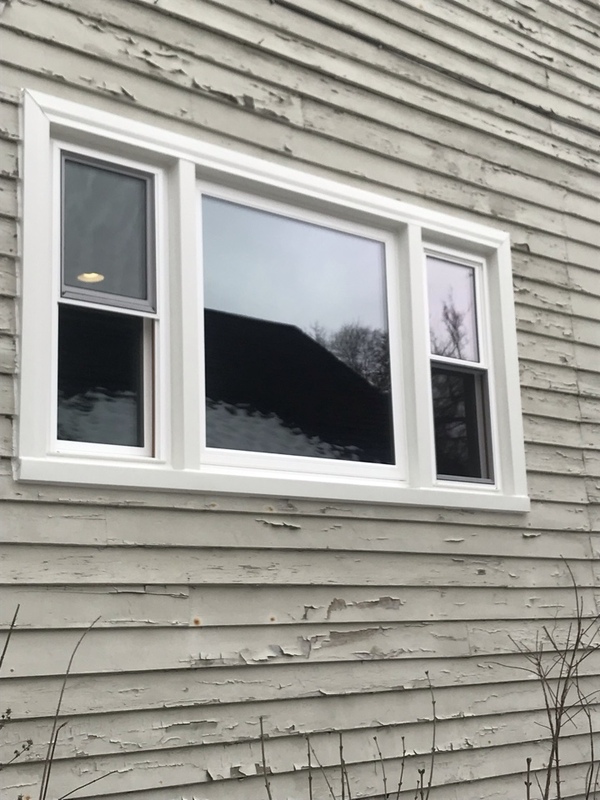 Is your Wauwatosa home’s siding outdated and worn out? Give us a call so we can discuss your options including vinyl siding or engineered wood siding in a color of your choice or shakes and scallops to add extra aesthetic appeal to your home. The contrast of texture can make your home look beautiful after a simple installation—you’ll hardly recognize your new haven. While we’re at it, we can assist you in deciding if you need new doors installed in your home—whether it’s a front door or a back door. We offer a wide range of options including entry doors, patio doors, and fire doors so entrance point on your home is safe and secure. We guarantee you’ll be satisfied with your updated home. Did you know that having energy-efficient windows installed in your home can save you money on utility bills? That’s right—it’s because weather cannot leak in. We offer a full range of windows including garden, double hung, casement, sliding, full-frame, and bow and bay, so whatever windows you’re dreaming of, we can help you find them. Our installations are professional and backed with a guarantee against defects or you’ll get your money back. And even better, we take care of warranties for you so you never have to fill out the paperwork or keep track of warranty coverage. With Weather Tight, you never have to worry about receiving less-than-quality service either. All of our employees are highly trained in the industry and know how to fit your home with the perfect windows. Looking for a day to get away from city living to enjoy small-town charm? Head on over to Wauwatosa. The quaint community is home to a number of shopping venues including Mayfair Mall, The Mayfair Collection strip mall, or one of many independent stores for clothing, books, home design, and more! When you’ve had your fill of shopping, you must check out one of Wauwatosa’s most popular restaurants including Le Reve Patisserie & Café for an elegant brunch or North Avenue Grill for delicious diner food—you won’t be disappointed at either one! Wauwatosa isn’t just a great place to visit, it’s also a great place to live. We’ll help you update your home so you can be happy living there for years to come. When you are coming to our showroom from Wauwatosa, start out driving west on West State Street as it becomes West Menomonee River Parkway, turn left onto Harmonee Avenue, right onto Harwood Avenue, and then continue straight as it becomes West Watertown Plank Road. Take the ramp onto US-41 South/US-45 South and follow signs to stay on US-45 South. Continue for 3.6 miles before taking Exit 2B for Oklahoma Avenue. Turn right and you will see us on the right side.